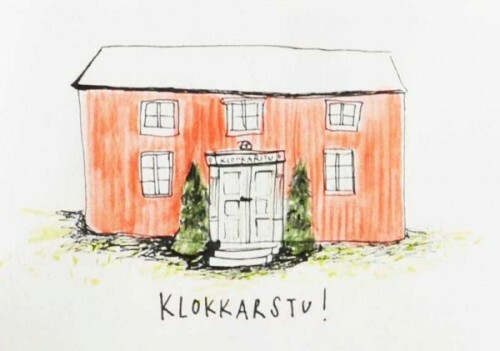 i found a norwegian gallery, Klokkarstu, that will sell my postcards. the first place in norway! thanks to the lovely owner Randi, the cards are part of the collection since last weekend. the gallery is situated in Inderøy (Straumen), a beautiful piece of Norway. This region named itself ‘the Golden detour‘. and that’s no lie. worth a detour! and if you’re there, don’t forget to visit Klokkarstu. you discover an interesting selection of different artists’ works, in a cosy place.